There has been enough said about the carelessness of Human beings which has degraded the environment. Land, water and air- all are getting polluted day by day because of the many human activities and are heading towards a future full of uncertainty and danger. While most of us continue to blame the human beings for the damage done to the nature as well as the society, there are some of us who believe in change and start working for the change without complaining. Here are two persons based in Philippines, Shawn Frayne and Alex Hornstein, who think it is possible to change the world, who believe that every action counts and every effort matters. The two people, Shawn Frayne and Alex Hornstein, who made it possible. These two young investors are investing their time and money in building, what they call a ‘Solar Pocket Factory’. Basically, the idea is to produce small solar panel chips, to revolutionize the way man thinks about electricity by exploring the potential in solar power. They want to run the lamps and the lights and other small appliances on solar power. But unlike the rest, the size of their factory is as small as your desktop screen. It does not sound believable, does it? A factory which can produce solar panels would be of such small size? 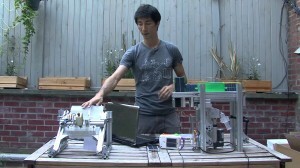 In short, they want a machine to manufacture home-made solar panels. Now having a really small factory has a lot of advantages. The first and the major one is that the little machine can be taken to any place in the world. Therefore, the machine as well as the product will be portable. This will help in the increased use of solar power in all the countries, irrespective of their ability to afford resources to build a factory with equipped manufacturing machinery set-up. The Factory, which is small enough to fit in your garden. Having a small factory reduces the labor cost in the manufacturing process of solar panels. 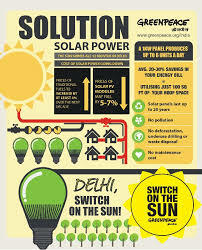 This helps in cutting the cost of the solar panels by 50% and therefore makes the electricity much cheaper. Along with this, the machine can produce as much as 300 thousand to one million solar panels annually, in its full efficiency. This means it has a huge potential to generate solar panels at very low prices. The manufacturing of small sized solar panels will be helpful in running appliances of lower voltage. There are many products which can be used to run on these small sized power generation panels. 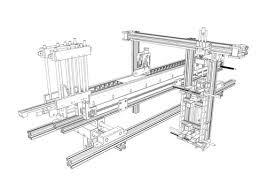 The large number in which the panels are produced by the machine is a huge benefit. Moreover, making these small sized panels is very economical, when compared to the large sized panels. At the same time, installation of the large scale solar panels is not easy and requires space, whereas the little chips of solar panels can be installed easily. The Poster by Greenpeace, which displays the power crisis we all are facing. Many countries of the world are witnessing power crisis, as the non-renewable sources of energy are unable to last forever and the renewable resources are not developed enough to meet their power requirements. A large portion of the demands of electricity can be met using these small solar panel chips. The low cost of silicon and its availability makes the machine applicable to be used in most parts of the world. 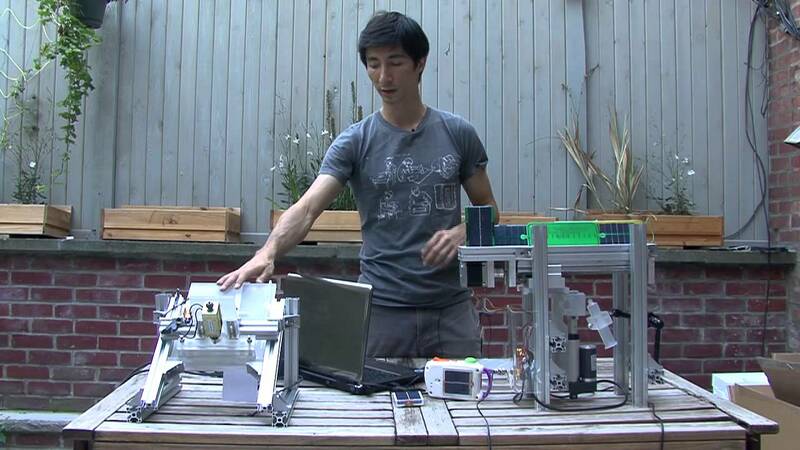 The efforts on the part of Shawn Frayne and Alex Hornstein, to build their own solar pocket factoryto bring a change in the world in their own way are witnessed as the technology is open source, which means anyone can copy the technology and use it in a beneficial manner. The basic design of the Solar Power Factory. The way micro-solar power is not too much functional as of today. Though there are some applications of it, like phone chargers in I-phones and solar garden lights, but this invention has the potential to boost the micro-solar power factory. As Shawn explains, the labor prices are going up which is making solar power costlier. But the coming down of the prices of silicon makes it easier to manufacture these chips. While the installation of large solar panels appears to be a nuisance, the small solar chips would be very easy to use and install. It is this dedication and awareness towards bringing a change in the planet, a change for the betterment of the planet which keeps us going. The technology which we are using, at one hand, tries to make our life more comfortable, but on the other, causes a lot of harm to the environment. So it is high time that we need the technology which focuses on the betterment of both, human beings as well as the environment, ultimately the earth. We are yet far away from inhabiting the moon or Mars, so it would not be a really good idea to spoil the place we are living on.